Your kitchen countertops are one of the most important features of your home. If they aren’t well-maintained, they can change the look of the kitchen and make it less functional. Whether you are looking for a better way to create a dramatic look or you just want to preserve the quality of your current countertops, read this helpful guide to countertop maintenance. Some surfaces are easier to maintain than others. Tiled countertops are very popular because they are easy to clean. If you don’t want to risk having a lot of grout to maintain, try a full stone slab. Marble, travertine, and granite can all make a big impression while being held in place with minimal grout. If you aren’t sure what to buy, consult a professional about low-maintenance counter installation. Because the counter plays such an essential role in the kitchen, it gets dirty rather easily. Even if you wipe down the counter every time you prepare food, you should still get in the habit of wiping it down at the end of the night. This will help keep it sanitary and help you avoid dirt buildup. 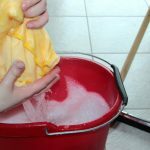 To clean, use a special cleaning fluid and a towel. Warm water can help rinse the cleaning solution off the tile or stone. Make sure you buff the counters afterward; even small spots of still moisture can cause mildew buildup. 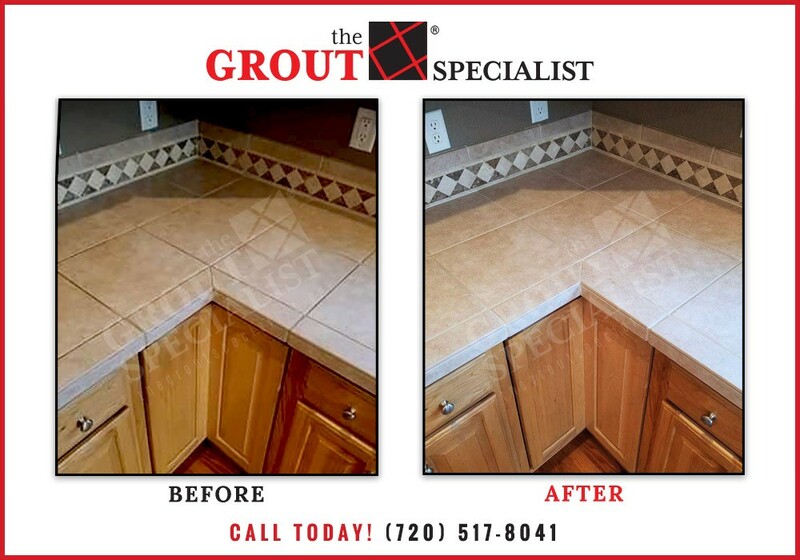 Grout is built strong, but it can still deteriorate if not installed or cared for properly. While you don’t need to clean your grout every day, you should still scrub it at least once a week. 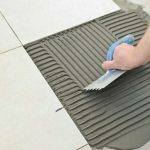 Professional grout cleaning services in Denver can also be a wise investment, as they can quickly identify potential issues and suggest repairs. This helps you keep your counters intact longer. Keeping your kitchen counter looking its best starts with ensuring it is clean. 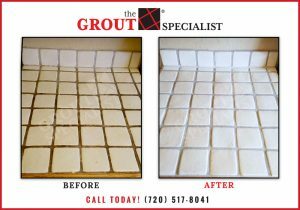 The Grout Specialist is happy to offer grout cleaning and repair services within the Denver area. Contact us today to learn more.